1. Adverts: A business creates an advert and pays Facebook to deliver it to the people who are most likely to find it useful. For example, you might see an advert for a local gym if you live nearby, you are a certain age and like weights. If a user is not connected to a brand, ads will appear on the right-hand side of their homepage. 2. Sponsored Stories: A sponsored story is different from an advert because it’s a story you can already see about activity from people you are connected to, pages you like or apps you use. People tend to be more trusting and comfortable as they do not consider this a form of advertising because it shows what their friends like. For fans and friends of fans, ads will appear as a sponsored story on the right-hand side, and it can also appear in news feed. According to Facebook, placements in the right-hand side have an average of 5 to 10 times more engagement than all other places on the site. Facebook constantly works on ways for improve measurement standards that allow businesses to measure ‘success’ and allow for cross-platform comparison. Reach: Users share their real identities on Facebook and brands can have access to the demographic profiles of the audiences they reach on Facebook. 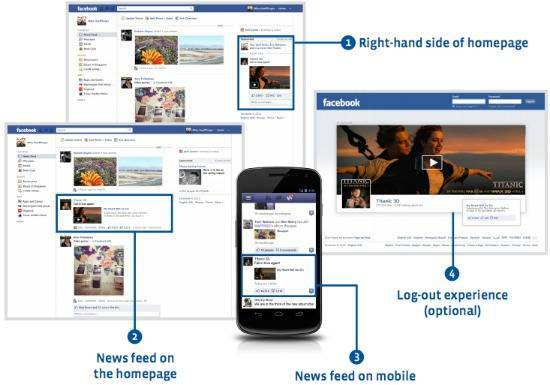 Brand Resonance: Facebook also allows brands to evaluate whether they are achieving the desired brand perceptions. An ongoing Facebook presence and asking fans questions can provide insights about a brand. Therefore telling you what content resonates the most with your fans. Reaction: The most important success metrics to measure on Facebook are traffic, sales and other desired reactions. Consumer Insights: One of the most immediate value marketers can see from building a comprehensive Facebook strategy are consumer insights generated. Advertisers are able to run polls to help identify and understand their target customers. They can also use these polls to learn about the differences between their fans, friends of fans and non-fans. For example, asking a question through the Page provides insight about your fans and it’s and engaging form of content. Not all of the research methodologies mentioned above would be suitable for every business. It is important to identify which measurement is valuable and which one isn’t. Posted on November 12, 2012, in Advertising, Social Media and tagged ads, advertising, advertising measurement, Digital Marketing, facebook ads, facebook advertising, online advertising, WEEK 5. Bookmark the permalink. Leave a comment.